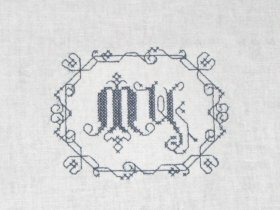 Small monograms are not as frequent as the bigger sized ones and when monograms are small, they often don't have the pizzaz or the elegance of the bigger monograms. 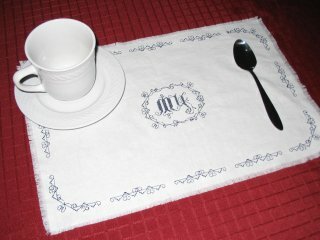 This is not the case with the Cherished monograms. 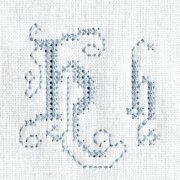 They are tiny and likely will fit on anything, but still have the elegance and originality that is needed in a beautiful monogram. 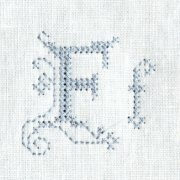 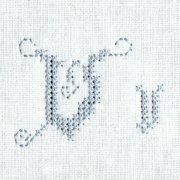 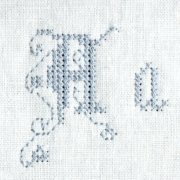 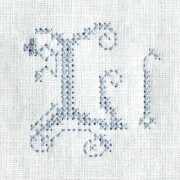 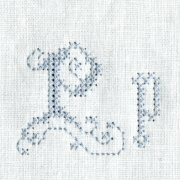 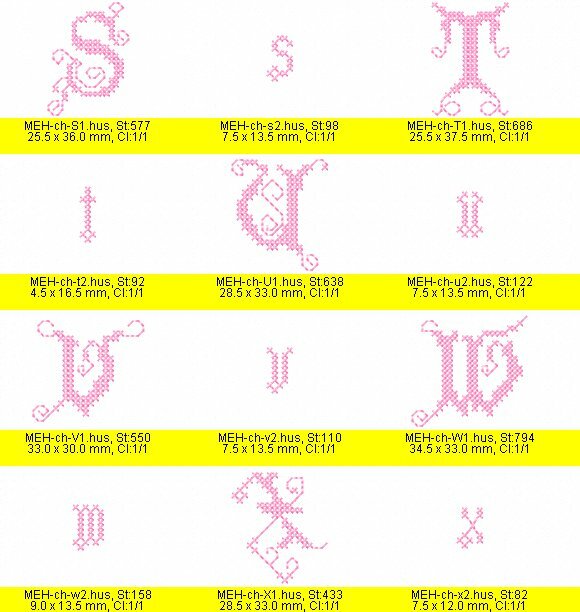 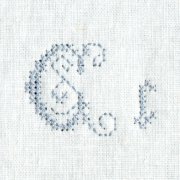 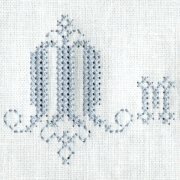 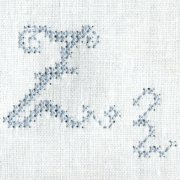 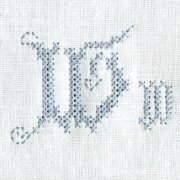 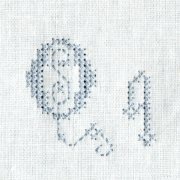 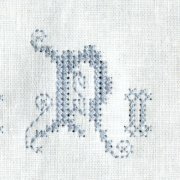 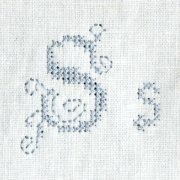 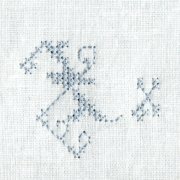 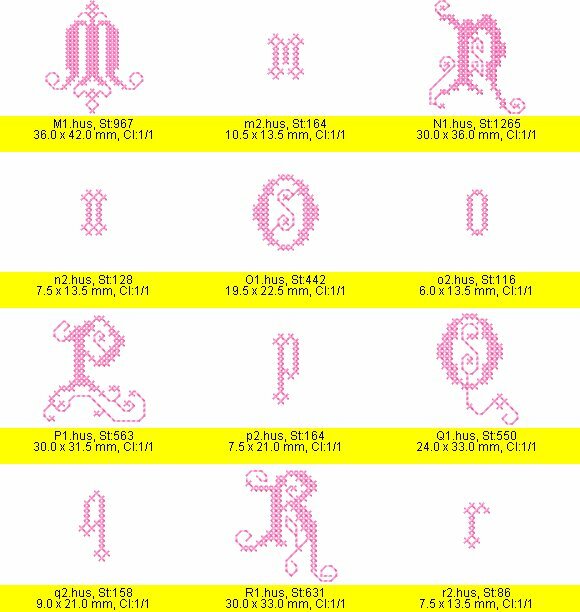 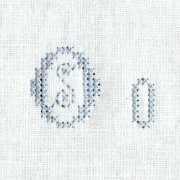 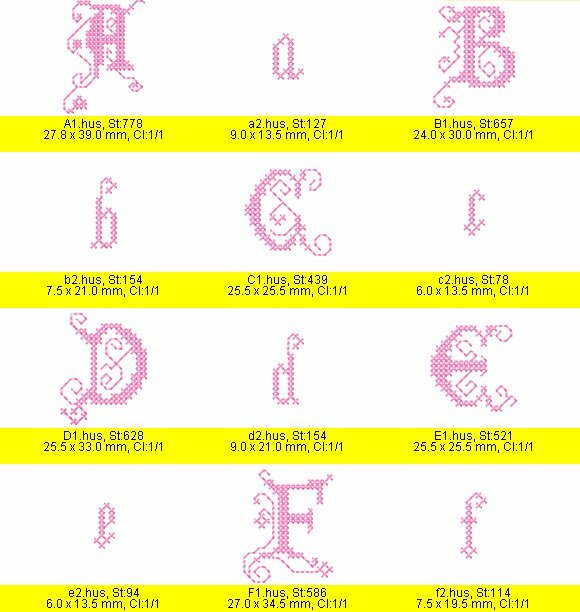 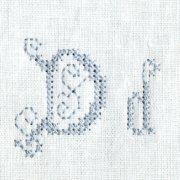 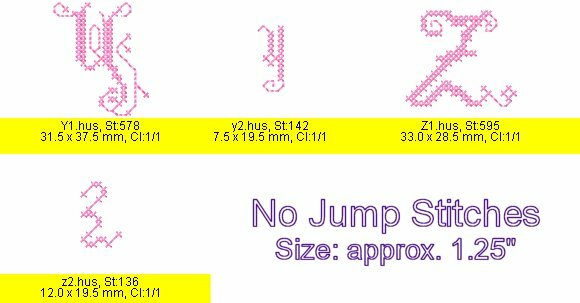 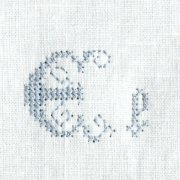 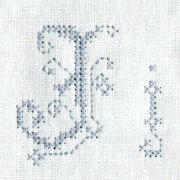 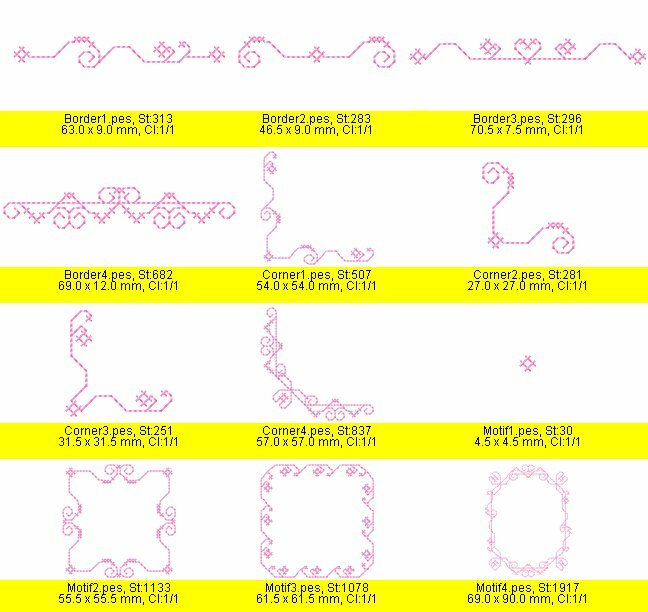 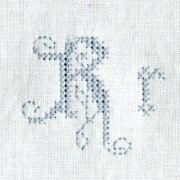 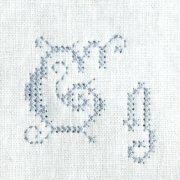 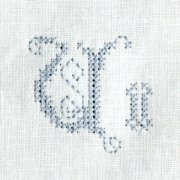 These 1.25" Cross Stitch Lace Monograms are both elegant and small enough to fit marvelously on cuffs, collars and other small items. 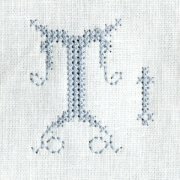 They stitch at the speed of lightning. 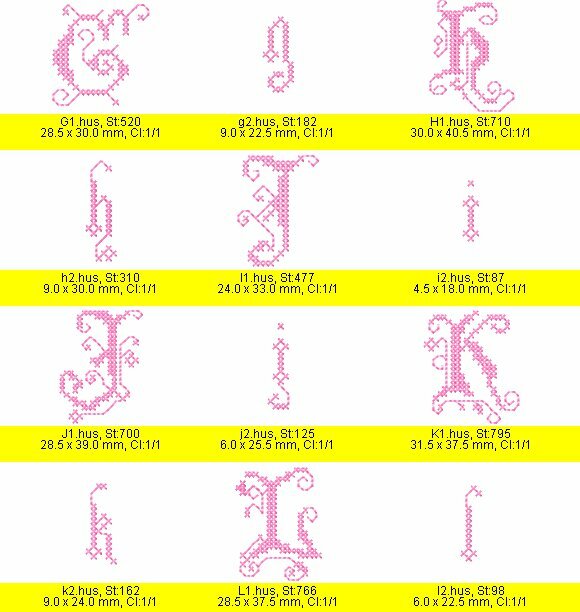 The set comes with the lower case letters to allow you complete freedom in your lettering projects. 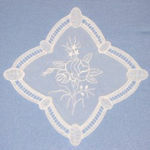 These designs can be stitched on regular fabric without any problems. 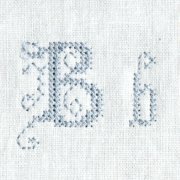 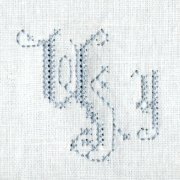 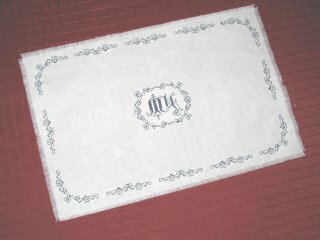 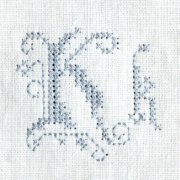 If they were to be embroidered on Aida cloth or any other canvas, the gauge is 16 stitches per inch. 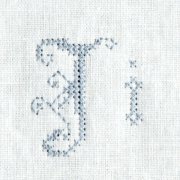 except for the dots on the i and j.